Experts from the Hague Conference took part in a seminar in Tbilisi jointly organised with IRZ from 26 to 28 February entitled, "Fostering Co-operation through Hague Conventions." 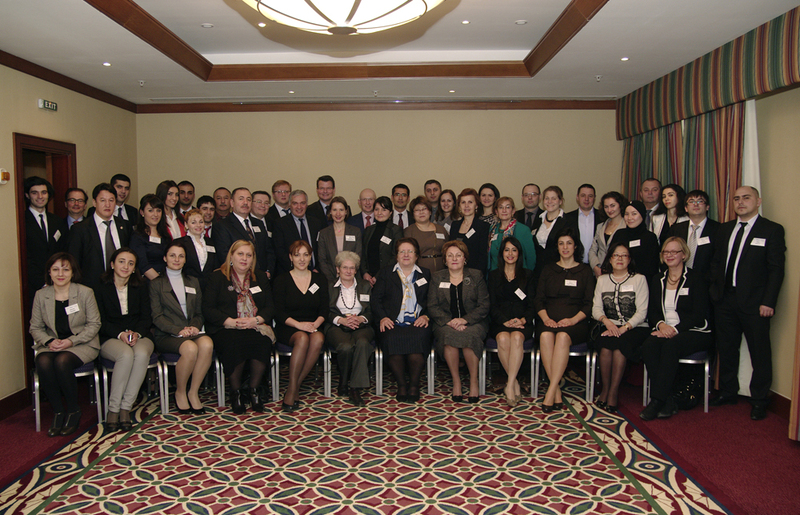 Participants included judges and other government officials from several States, including Armenia, Azerbaijan, Bulgaria, Georgia, Germany, Kazakhstan, Moldova, Romania, Turkey, Ukraine and Uzbekistan as well as the Court of the Eurasian Economic Community. The event was intended to build on a similar seminar held in Bonn in 2010 by encouraging participants to actively discuss recent progress in their respective countries on the implementation and operation of certain Hague Conventions. The seminar Conclusions and Recommendations are available in English and Russian. A report on the conference is available on the IRZ website.